Leonardo: The greatest mind in all of Italy was willing to give up his life to protect the place and the people he loved. This near-self-sacrifice was entirely believable because of all the guilt Leo felt this season after what happened in Otranto. At the end of the episode, Leo kept his promise to Lucrezia and headed for Florence to get back to his art. Character-wise, it was understandable why he wanted to return to some normalcy, after all the destruction and death that he witnessed over the season. Lucrezia: Leo's love interest always had a tinge of tragedy, even in her theme song, so her sad fate wasn't hard to believe. But I'll admit, I cried when the writers killed off their best female character. Lucrezia clearly sacrificed herself to protect her beloved Leo. This character death was the show's most heartbreaking moment ever. Riario: This ill-fated villain was always meant to stand in contrast to Leonardo. The show took this idea in an entirely new direction this season when they made Riario (Blake Ritson) a sort of "artist of death" (as Leo referred to the Monster of Italy's handiwork in episode three, "Modus Operandi"). Riario's final appearance on Da Vinci's Demons was shocking, when he murdered his father Alessandro (James Faulkner) in cold blood. And even more shocking was how willingly the people of Florence accepted Riario as a sort of religious leader. It was hard to believe they'd let the killer of the mother of Florence go free. Zo and Sophia: Leo's sidekicks provided some much-needed comedic relief this season. They also proved why they're Leo's equals. Zo acted more capable and wisely than ever before when he rescued Nico from Vlad's trap, and Sophia helped Leo build their lightning machine. It was touching to see how these two loyally stood by Leo's side through it all. Lorenzo and Vanessa: The romance between the leader of Florence and the new mother of Florence made sense. This season, Vanessa (Hera Hilmar) was Lorenzo's (Elliot Cowan) equal: a strong-headed leader intent on protecting Florence. She seemed to remind him of Clarice (Lara Pulver). I had actually expected that Vanessa and Nico would end up together since season two. This suspicion was strengthened this season after seeing that they were a couple in Leo's dreamworld in episode four, "The Labrys." Nico: After being rejected by his crush Vanessa, and with experience as a cunning and calculating negotiator in his repertoire, Nico set off for Naples. In this episode we witnessed Nico finally become Machiavelli. 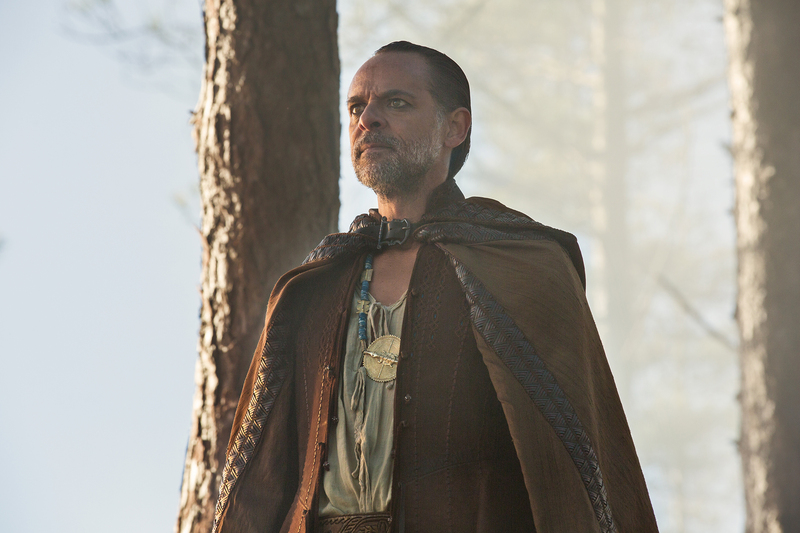 [caption id="attachment_78503" align="aligncenter" width="591"] DA VINCI'S DEMONS - "Ira Deorum" Episode 310 - Pictured: Alexander Siddig as Al-Rahim - (Photo via: Far, Far Away Site)[/caption] Story themes: The list of side characters and villains below could all be considered Da Vinci's "demons," referring to the title of the series. The Sons of Mithras, the Labyrinth, the Vatican, the Ottomans, and the Monster of Italy all posed huge obstacles to Leonardo this season and over the course of the series. By season's end, Leo had defeated, got rid of, or escaped from all of them. You could say Leonardo da Vinci finally "exorcised his demons." The Sons of Mithras and the Labyrinth: This season, viewers finally learned that these two secret societies were actually eerily similar. Their end goals were different (one wanted to enlighten society through science and knowledge, while the other wanted to enlighten society through religion), but their methods were the same: they lied, stole, betrayed, war-mongered, and killed. The Architect (Paul Freeman) appeared to be the only one still alive by season's end. The rest of them were dispatched of almost too easily. The Vatican and the Ottomans: Since season one, we were shown the cruelty, violence, and creepiness of the Fake Pope. This season, the Real Pope joined the Ottomans and turned out to be just as morally corrupt as his twin brother. They were like two sides of the same coin. There was a reason that one of the twins was the leader of the Roman Catholic Church's crusade army and the other twin was a leader of the Ottoman army. These two characters were used to demonstrate how the seemingly two opposing armies actually had a lot in common, much like the Sons of Mithras and the Labyrinth. The Monster of Italy: Riario's alter ego was a commentary on religious fanaticism. His whole story this season was an effective way to highlight one of Da Vinci's Demons' main themes: people are capable of both great good and great evil. 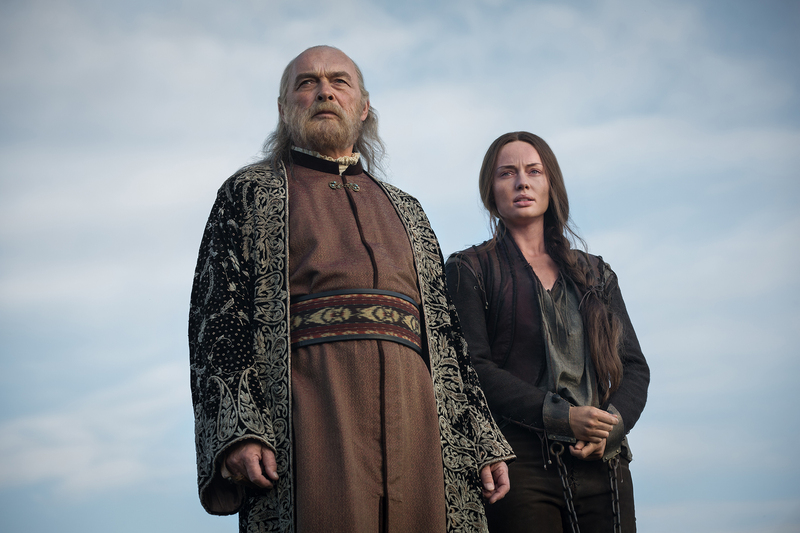 [caption id="attachment_78502" align="aligncenter" width="591"] DA VINCI'S DEMONS - "Ira Deorum" Episode 310 - Pictured: (l-r) James Faulkner as Francesco and Laura Haddock as Lucrezia - (Photo via: Far, Far Away Site)[/caption] Final thoughts: -Let's all give one final standing ovation to Bear McCreary for another gorgeous main title theme! -Speaking of the title sequence, I was disappointed there was never any reference to Mona Lisa this entire season. Her picture loomed huge over Leonardo during the show's title sequence every week, so I assumed we would see something about that legendary painting this season. I had a theory that Sophia would be revealed to be Mona Lisa, but that never happened. -Tom Riley was brilliant as Leonardo da Vinci. He brought fun, eccentricity, and emotional complexity to this main character. 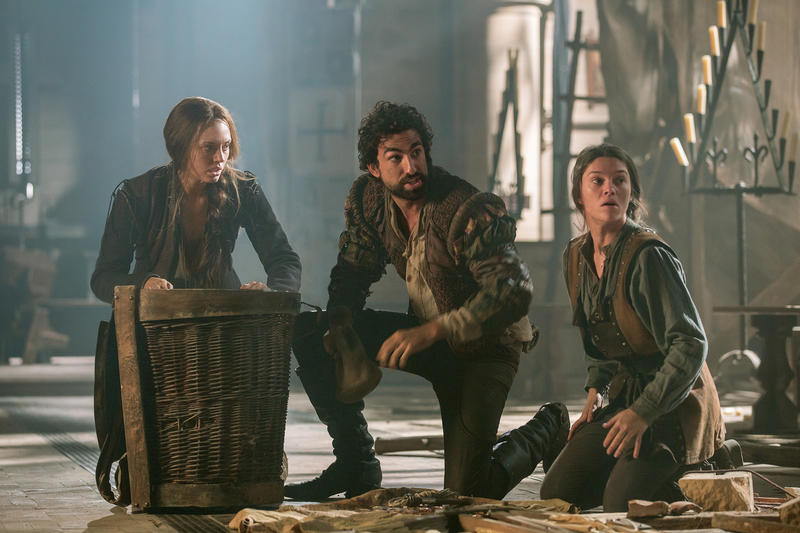 -Da Vinci's Demons had one of the overall best main casts on any TV show I've seen this year. They all worked really well together, and they brought strong and realistic performances to these characters. 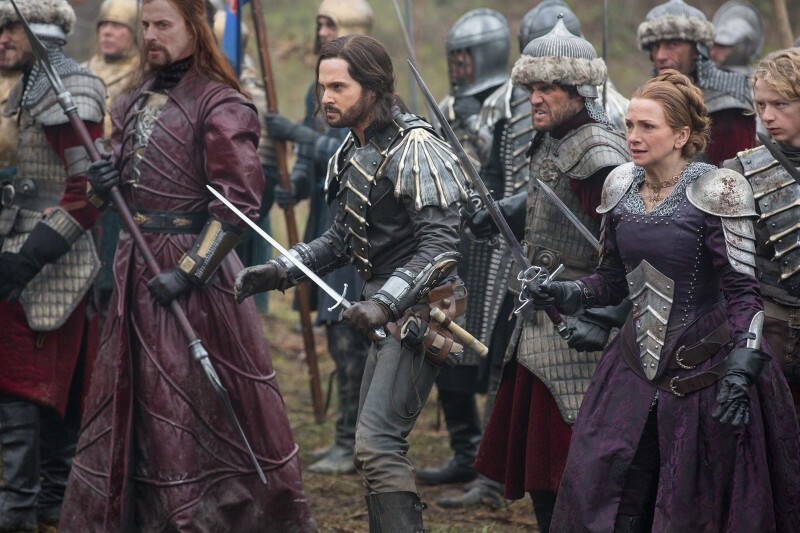 -If this exclusive interview David S. Goyer gave with Den of Geek is true, we could be getting a new season of Da Vinci's Demons in three or four years! All I can say is, for the love of da Vinci, please make it happen!